Gorgeous, Narelle! I love the pop of those beautiful flowers. Very pretty! Such a classy card! Very classy card, Narelle! All the layering, the pearls and the papers are beautiful. 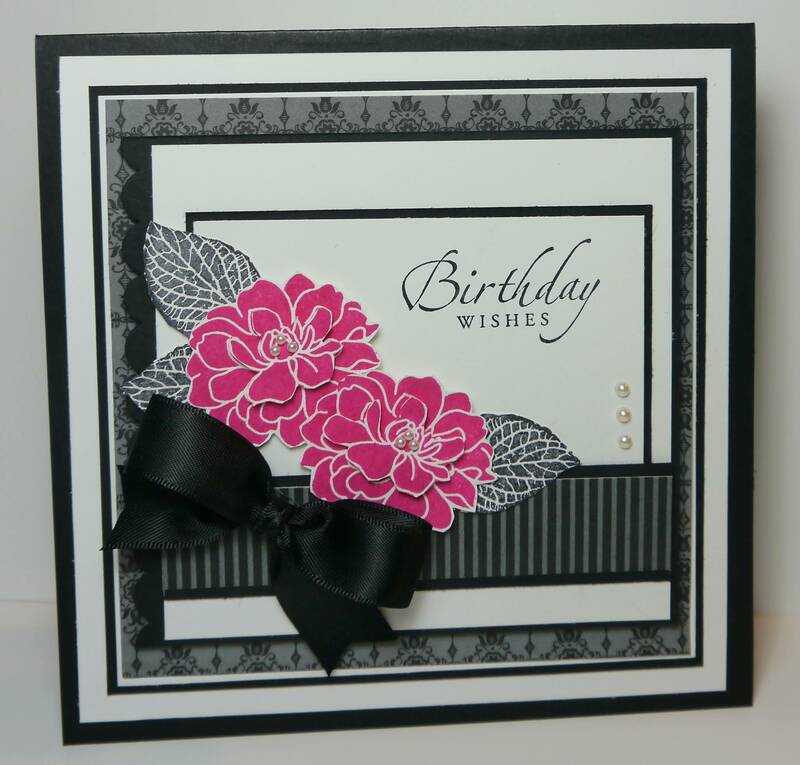 Very elegant card, I love your pop’n pink flower and rich black ribbon!! This card is one classy lady! Gorgeous! This positively exudes elegance! So pretty! Thanks so much for playing along with us this week at The Play Date Cafe! So classy! 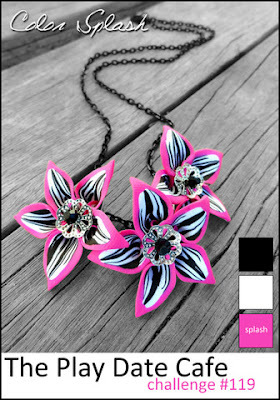 Love the pink flowers! No one can get sick of this set! !